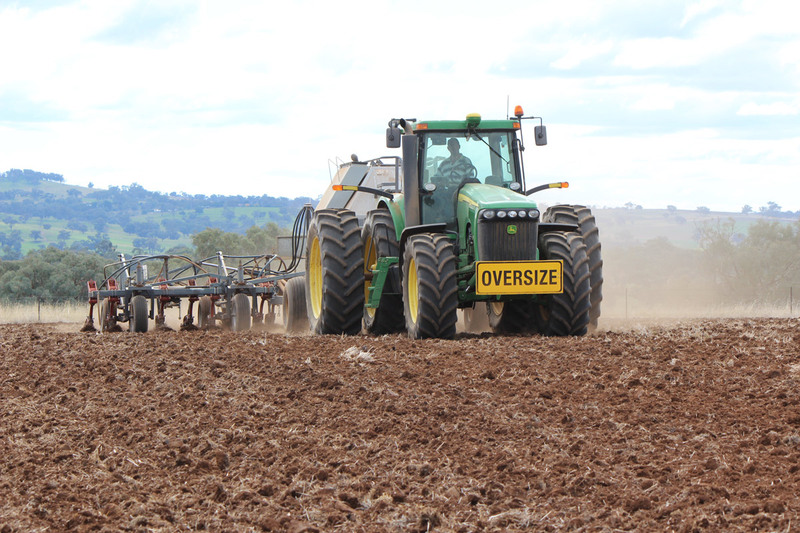 Australian farmers are this month sowing winter crops into paddocks with favourable sub soil moisture levels in what has been described as an ideal start to the season. We spent a day in the paddock in early May with local farmer Hunter Bowman as he sowed canola seed that will grow under clear blue skies and carpet the Australian landscape with blooms of gorgeous yellow flowers in coming months. The canola will be harvested and pressed at the nearby presses into auzure Canola Oil in a true paddock to plate, locally grown and sourced, sustainable Australian Canola Oil. auzure is the Australian Canola Oil with a true story. All the seeds are Non-GM, locally grown and tendered to by farmers including Hunter, before being pressed in Manildra which is based in the middle of the New South Wales canola growing region. Hunter says early rain means conditions are optimum for seeding at the moment. The Chief Executive Officer of the Australian Oilseeds Federation Nick Goddard says there’s international demand for Australian oilseeds, buoying confidence in canola around the world. MSM Milling Director Pete Mac Smith says plantings are expected to be up by 10 – 15 per cent on previous years, as farmers capitalise on strong returns for canola. The health aspects of canola oil are also fuelling international demand for Canola Oil, which is the preferred choice of a cooking oil as canola has less than half the saturated fat of other oils, naturally contains no cholesterol and has a high smoke point. auzure Canola Oil has the added benefit of being expeller pressed, which means the oil is pressed from the seed without the use of chemical solvents. auzure Canola Oil also has independent non GM certification. MSM Milling is the company behind the Australian Canola Oil brand auzure. MSM Milling works with hundreds of farmers each year and prides itself on traceability, sustainability and relationships with the growers of auzure canola. We will watch the crops develop and bloom closely over coming months. Photographs of the canola can be found on our social media channels including Instagram, Facebook and Twitter.